Oh, indeed, things are looking good. I love the way canned things look sitting on a shelf. Like jewels. Only thing I do is freeze blueberries and make strawberry jam. I froze 28 pounds of blueberries this year but I bet hubby has eaten half of the already! Day or so ago he saw fresh in the store and commented that he'd better slow down on his, 'cause he didn't want to pay that price for fresh ones. I made about 30 pints of strawberry jam this year. Me siento avergonzada de ir al supermercado a comprar! I am so impressed with your pantry FULL of beautiful home canned foods - Great Job!!! T.
Now that is a beautiful pantry. Congrats, & thanks for the inspiration. FFG, the prices make things like store bought blueberries a luxury. I'm with your hubby, I wouldn't pay the price either! Good job on freezing 28 pounds and on all that strawberry jam. Tina, do you have a recipe? I've got one frozen squirrel in the freezer! Congratulations! You must be extremely happy with your progress. Not only is that an amazing amount of food but an amazing accomplishment...It takes a tremendous amount of dedication to stalk ones own larder. Love the new header picture. Question about your frozen goat milk: Do you pasteurize it before freezing or just freeze it raw? (I may have missed this in a previous post.) When I froze ours raw, it came out kind of separated in clumps and very unappetizing in appearance. I then found out if the milk is pasteurized first (not something I'd choose to do), it retains its normal look and texture after freezing. Candace, thanks! I'm very pleased with it, and thankful to be able to do it. Mr. H, the header photo is of my dogwood tree. It turns such a lovely dark red in the fall. The pantry is one of those things that is worth every ounce of work. Priceless. Mama Pea, thanks! I've been freezing my milk raw and whole. My only experience with freezing it in the past was store bought organic, pasteurized and homogenized. I'll have to let you know how it turns out. We don't drink it, so it's mostly being saved for cooking, yogurt making, and coffee. Good grief that's a bounty when you total it all in one place! Good to see a positive post once in awhile (just kidding!). But I know how difficult this year was (you told me, see) so I can't tell you how happy I am to see that all along you've been as busy and resourceful as ever! I am amazed on a regular basis, stick with it! I'm with Woolt Bits - I just admire the pantry itself - besides all the work that has gone into preserving everything in it! In my townhouse, I have given up the idea of having a 'normal' decorated living space - I have jars, cans and bags tucked onto shelves everywhere! How many freezers do you have?!? You mention freezing foodstuffs as well as several months worth of milk and dairy products - surely all that can't fit into one freezer. Oh my goodness, Leigh . . . that is one impressive looking pantry and list of your accomplishments. What a joy for you and Dan to be able to live off your land as you do. I'm afraid at our age we aren't as ambitious as you, but would have loved to be able to do this years ago. But we were city-folks then and both working full time jobs. Now that we're country folks and retired, we're enjoying our eight chickens and our three small raised garden beds. Life is good! What a joy to see your pantry practically overflowing and your list so long...you will not want for food after all of your hard work! Its like putting money in the bank. Very colorful and tasty money. Sure looks good. I haven't sat down to add up this season's harvest, and I usually don't add up what I can since we're always eating & canning more throughout the year, but I can't wait to see how the harvest comapres to last year. Such a learning experience! We grew kidney beans this year and they're beautiful. I'm starting to plant dry beans on newly turned ground because they bring in some nitrogen and also help cycle out the wireworms that ruin potatoes. Oh wow---you're doing awesome! I just found your blog and I'm really enjoying it. 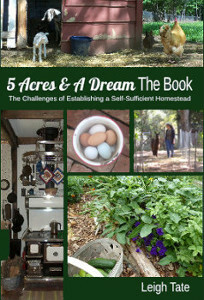 You have lots of great ideas for a novice homesteader like me. Thanks for all that you share! Deb, I have one chest freezer and the two with my two refrigerators. The chest freezer is not a huge one, it's four feet in length, because that's all the space I had to put it. It is pretty full, but I'm trying not to freeze fruits and veggies unless that's the tastiest option. I also have to keep my grains in either fridge or freezer, because of pantry moths. Joanna, thanks! I agree that this is true security. I didn't know that about wireworms, thanks for that! I haven't tried kidney beans yet but maybe I should. My black turtle beans did marvelously last year. Kristi, thank you so much! I'm always happy to be an encouragement to others. I'm on my way to go visit yours. Wow! You have been really good this autumn! And the pantry is looking absolutely astonishing! re: Squirrel stew. Haven't had any in about 30 years, but I remember that my father always made it with too much pepper. I think that he was trying to cover up any taste in it at all. My mom did a much better job of cooking wild game. I'm sure you can find good recipes online though. If I remember correctly squirrel is a lot like dark meat chicken in texture...I don't remember the taste at all. Your pantry sounds wonderful! Congrats on a great harvest. Someday I'll be able to do what you did-that's the goal anyway. We have that very same Country Living grain mill and I love it! For protein, may I suggest rabbits? Then there are dexter cattle. Last year my husband and I purchased half a grass-fed beef- this year we decided to go with a half a grass fed hog. Hogs are supposed to be good in places where there isn't a lot of pasture. Plus- they make a good bit of fat which is a hard thing to come by if you're homesteading and not buying oils, etc. Geese might be good for the same reason. I am green with envy, purple with frustration (we are not yet set up to do all that yet), red with embarassment (I could have preserved more) black with depression that we still have our too big farm which is keeping us from buying our little farm and Pink with joy over your bounty and hard work. And even with all those colors I look pretty dull compared to your bright and beautiful pantry. JOB WELL DONE !!!! Paula, thank you for the visit and comment! Great suggestions for meat. We are definitely working toward pigs as they seem like the most versatile homestead animal on the planet. Eventually we will have chevon from our Kinder goats. I hadn't thought about geese for their higher fat content, but that's a possibility too. Donna, LOL and thanks. Sounds like you're a rainbow of emotion. :) I hope you get a buyer for your farm soon. I grew up in Louisiana. My father enjoyed hunting and stocked our freezer with pretty much anything that moves. I've eaten frog legs, lots of kinds of fish including Gar which is not something most folks want to eat because they're "cleaner fish" as in clean up after others...not a clean fish. Crawdads, rabbit, squirrel, wild boar and venison. But I haven't had anything that wasn't bought at a supermarket in at least 30 years now as my parents divorced and we moved to Florida. Kristi, one of the blessings of the internet is sharing information and learning from one another, for sure. There are so many of us who are drawn to this lifestyle, yet have to learn the ways and skills. 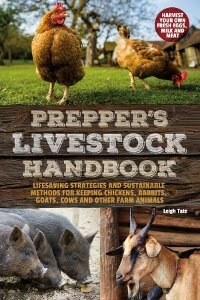 The thing I love about homesteading blogs is that most of us aren't trying to sell anything or giving a sales pitch, we're just sharing what we learn as we go along. About that pepper, Cajuns do love their food on the decidedly spicy side! Very impressive. I hope you're proud of this accomplishment. You inspire me! Wowza! You always give me new heights to aspire to. I've had squirrel pot pie, but not squirrel stew. Probably quite similar, I would think? By the way, what kind of grain mill is that? Grainmaker? I don't care for the $45 Corona mill I have too much. I'm looking for new options. Grace, squirrel pot pie? Mmm, I like the sound of that. My pot pies are usually just stew in crust anyway, LOL. Andrew, thanks! The grain mill is a Country Living Grain Mill. I got mine about $100 ago, but have to say they are built to last a lifetime, easier to grind than the Corona type and make much finer flour. Last year I got the power bar extension which makes the grinding easier still. I can grind non-stop now. These can also be hooked up to a bicycle for leg power operation. Wow! Your are a shining example for us all. I love all of those jars on the shelves. I hope my pantry looks that good some day. Where do you keep your pantry? Ours is in the basement, but that is very inconvenient. It would be lovely to have a room upstairs. Eleanor, thanks! I've had my pantry in the basement before, and know how inconvenient that is. Now, we are fortunate enough to have a spare room, one of the perks of having one's kids grown and on their own, LOL. Previous owners built an addition off of the kitchen, which added an 8 by 12 foot room, a teeny bath, and a 5 by 6 pantry. I felt that pantry was too small, so we turned it into our utility room and made the 8 by 12 room the pantry. Besides the shelves you see in the photo, it houses a cabinet for equipment and store bought goods (tinned foods, sweeteners, vinegars, coffee, etc), also my small 2nd fridge and small chest freezer. I am thankful every day for it! Darlin, you do what i only dream of accomplishing. God bless! Now Leigh, you heard back then from so many commenters (im jealous but then you do walk the talk) and im telling you again that your pantry preserving is mighty impressive. Its like food art. I think if i walk up and opened up the door on this lot a choir of angels would start singing the hallelujah chorus. Lynda, LOL. The only problem is, production isn't consistent over the years! Last summer I only got enough tomatoes for 4 pints of sauce. So sad!